There is an abundance of promotions available for players, both new and loyal, at 21Prive Casino. From an unlimited welcome bonus to ongoing promotions and weekly specials, we have all the details to every promotion on offer at 21 Prive and how to participate. New players at 21 Prive can sign up via our links and opt in for the welcome bonus, which has no capped limit attached. There are wagering requirements of 35x both the deposit and the bonus and unfortunately table games do not count towards clearing the bonus as cash, but the pokies do (by 100%) so you can clear it on the reels and then use the cash on your favourite blackjack game. Once you’ve signed up and cleared or used the welcome bonus you will continue to receive rewards with the ongoing promotions including 10% matched on every deposit you make. You can choose to opt in for this bonus with up to $50 matched by 10% every day you make a deposit. However, it is important to note there are 35x wagering requirements for each bonus. There are also promotions every day of the week for players to take advantage of. They are more aimed at the pokies player, but remember blackjack players can clear the bonuses via the pokies to then use on the tables. Additionally, 21 Prive operates on GMT time so look up the time differences in order to qualify for these daily specials. If you have a bad case of Mondayitis, you can opt in for this bonus each week to receive up to $50 matched by 25%. It is important to note there are 35x wagering requirements to clear for each deposit. Every Tuesday, players can login to their account to see what the mystery bonus is. 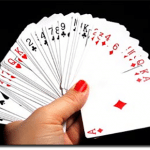 If you like what you see simply play any game, including the array of blackjack titles, to be in the running. Winning players will receive their prize on the following Wednesday. You can opt in for this bonus every Wednesday, but be sure to note the 35x wagering requirements for each deposit and bonus. Every Thursday, players can opt in for double the loyalty points on specified pokies. Simply keep an eye on your inbox of your personal email address to view what they are. Every weekend there are an array of free spins and cash bonuses on offer so keep an eye on your inbox for the newsletter to find out what you can win. Finally, players can opt in for the Cash Attack where players win extra cash on specified pokies, from $5 up to $250, which aren’t subjected to any wagering requirements. Keep an eye out for the promotional email each week to find out which pokie you can win big on. 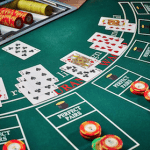 As you can see there, is plenty of AUD welcome packages, bonuses and matched deposits on offer at 21Prive online casino, including a huge selection of the best real money blackjack games software available to Australians. If you aren’t yet a member of 21Prive Casino, click our links and sign up now to redeem these exclusive welcome offers – you can even play on their mobile site on Android, iPhone, iPad, Samsung and other popular modern smartphone and tablet devices and enjoy real money 21 on-the-go.